William Hill Love Our Banter! The world’s biggest bookmaker, William Hill have commissioned Kommando to scower the country for football fans with good banter. 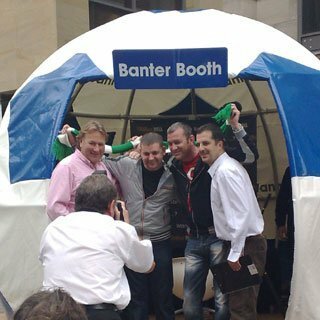 A travelling football shaped Banter Booth will be visiting all major UK cities to interview and video those of you who think your football banter is good enough!?! Judging by those people who visited us in Buchannan Street in Glasgow we know you have loads of banter to share and are looking forward to visiting you in your city soon! Watch this space for updates on when we will be pitching up in your town. Like the sound of our Banter? Contact us on (+44) (0)141 643 3980 for more information on how we can deliver you a banter filled campaign..
Just nipped into the local supermarket where EVERYTHING is suddenly covered in celebrations for the Queen’s Jubilee... 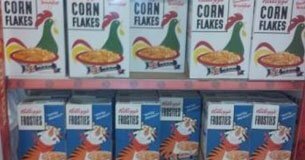 The brands on supermarket shelves that aren’t taking advantage stick out like a sore thumb! 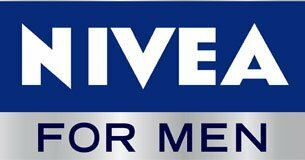 Nivea, the Beiersdorf-owned skin care brand have received the prestigious GEMAS Effie MENA award for their marketing campaign 'Tough Men Choose Sensitive'. The campaign ‘More attractive than you think’ made good use of builder’s bums. The campaign had an important message behind it, aimed at younger generations looking for employment in Germany.